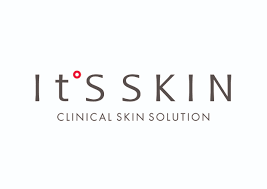 Serum by It’S SKIN. Coenzyme Q10. A few components of skin metabolism, CoQ10 effectively restores vitality and lost resilience to the skin. Delivers deep moisture and vitamins to the skin. Hydration through many levels of skin. Soft texture with enriched essence. Apply to clean skin and leave on. HOW: Clean the face throughly and care with toner. Apply two drops of serum on your skin. Do not use on broken or abraded skin. Discontinue use if signs of irritation or rash appear. Avoid contact with eyes. Serum leaves your skin smooth and hydrated without the oily feeling. Used regularly makes skin plumper, smooth, fade acne scars and makes your skin glow. Power 10 Formula line by It’S SKIN.